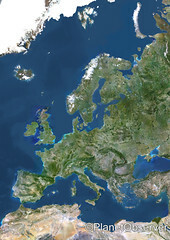 Europe is one of the places in world that provides travellers unlimited choice. If you are seeking warm weather to snowy mountains there's plenty to choose from. But a specific location that is often overlooked during the autumn and winter months is Amsterdam, in the Netherlands. 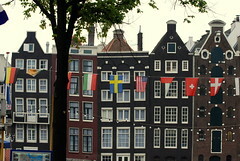 Amsterdam is often associated with stag nights, which is only one of the many layers of the capital. Because of this many families or those not looking for a place that will expose themselves to this environment will most likely never consider this a an idea location. When it comes to having a glass of quality alcohol, ritual and history comes as part of the package. One of Sydney's first small bars, Absinthe Salon has just opened in Surry Hills and it offers a very special cultural experience. First up, I should let you know that this cute home away from home only serves Absinthe so if you're not a fan this probably isn't the place for you. I'd heard all kinds of stories of people drinking this stuff, but had never actually plucked up the courage to give it a go myself. One friend lied, telling me that it was some kind of crazy drug; another said she'd gone completely crazy with laughter and the shakes after a night of Absinthe shots. Now, I can say I have had a taste of the Green Fairy and survived to tell this story! Fancy a bit of inside knowledge into the best bars to visit in Paris? From an outsider's point of view, it can be sometimes be a bit daunting trying to find the hotspots in a new city, and Paris is no difference. Unfortunately, if you end up in the wrong bar, you may end up spending a whole heap of Euros on overpriced drinks that you had to buy to save face. Here's a little rundown of a few places worth checking out when you're in the 'City of Love' that won't cripple you financially. Spring is the season of colours and flowers. It's a most wonderful season indeed; during this time, nature is at its finest and fullest form. And nowhere else is the season more beautiful than in the quaint Italian town of Positano. Positano is a small picturesque town with splendid coastal views. The town makes up part of the world-renowned Amalfi Coast located in Campania, Italy. The town itself is perched on an enclave on the face of a hill and winds down towards the waters of the Amalfi Coast. Naturally beautiful, Positano attracts thousands of visitors every year. Several travellers have described it as a dream place – one that gets etched into your memory with its unique and colourful houses climbing up the face of the rock. This is why the town's prime industry is tourism. All year long, the town is always full of people longing for some time away on a dreamy coastal location – the exact picture that Positano paints. But if you are planning to visit Positano, it would be best to schedule your trip during the spring season. Pompeii in Campania State of Italy is one of the best preserved ancient cities in the world. Life came to a complete standstill on the fateful day of August 24, 79 AD when Mount Vesuvius erupted and buried the city with volcanic ash, killing about 20,000 people in a single stroke and freezing in time buildings, monuments and last moments of the people on that fateful day for posterity. Pompeii attracts millions of visitors every year. The tourist infrastructure is well in place and visitors can choose from a range of accommodation options including Italy villas, guesthouses and hotels, depending on their budget and requirements. Here are just some of the sites that you can visit in the UNESCO World Heritage Site. House of the Ancient Hunt: This is an attractive, open-style house with many beautiful frescoes of hunting scenes. The Northern Lights are natural display of multicolored lights that lit the skies. This wondrous display of night light can be seen in the Arctic region during winter months. The intensity of this heavenly activity runs in ten to eleven year cycles, with peak years showing awe-inspiring display of lights. This phenomenon makes the cold and the hazards of venturing into the world's end on winder months all worth it. Northern Lights holidays are among the favorite luxury adventure holidays during winter. When one mentioned the term luxury, the picture that always comes to mind are great things that will definitely make one happy and feel totally relaxed. One of the luxuries that people always want is going on luxury holidays in France. Even if this may cost a lot of money, lots of individuals still go for it to unwind or to experience the lifestyle of rich and famous. Thinking of Moving to Europe? If you like to go on holiday each year, you may go to Spain or to France or even to the Caribbean wherever you go you always think oh I wish I could stay and live here. Well now that's what many people are doing, there packing their old lives up in the UK and moving on to new pastures usually in and around Europe. I think many people move to Europe because there not too far away from the UK and so can easily hop on a plane or a boat and visit family and friends. Dusseldorf in Germany is one of the business hubs of the region. It is famous for its fashion houses, and banking and telecommunications industries, making it one of wealthiest cities of Germany. Airline tickets to the city are plenty, with close to 200 flights to Dusseldorf every day. The city is located on the banks of the Rhine River and during the evenings the backdrop of the lights makes the river look spectacular. Vacationers can even take a cruise of the river if they like to get a glimpse of the attractions along the banks of the river. The city is known for its nightlife. There are plenty of bars and nightclubs which tend to get crowded during the weekends. For those walking in Italy, there is a massive choice of sights (and sites) to explore. Because the country has a huge range of landscapes, there is an almost unending selection of gems waiting to be discovered. This article focuses on the Passeggiata Rilke in Friuli Venezia Giulia, in the far east of continental Italy. If you're going to Paris, you may have heard of the Paris Pass, the Paris Visite Pass and the Paris Museum Pass. These have the potential both to save you and to cost you money. Let me explain the concept. Paris has lots of museums and other attractions. To get into each of these involves standing in long queues, sometimes for two hours. In addition, an entrance fee is paid for each attraction. How great would it be if you could get into many or most of the attractions for a reduced fee without even having to queue? Sounds great, right? At first glance it is a really good idea, hence something like the Paris Museum Pass. That said, bear in mind the adage: "If it sounds too good to be true, it probably is". I am not saying you should not get a Paris Museum Pass or one of the other cards; I am, however, saying you should think about whether it is right for you. European cities offer a rich culture, history and experience which the rest of the world can only envy. Cheap to fly to and easy to get around, a city break at one of these top luxury hotels is guaranteed to make your stay memorable for all the right reasons. Cosmopolitan, chic and romantic, that's Paris! 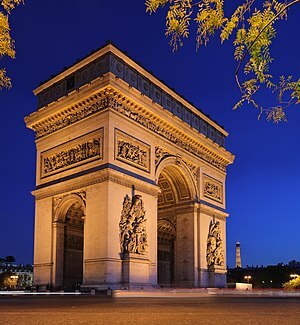 It has a reputation as one of the most beautiful and romantic cities in the world and there are some fabulous luxury hotels in Paris to complete your stay. Shopping in Printemps, dinner overlooking the city in one of the many Michelin starred restaurants, contemplating great artworks in the Louvre and cruising on the Seine all adds to the appeal. With great architecture, world-class museums and icons such as the Eiffel Tower, Paris cannot fail as a great destination. This great location should be enjoyed from one of the centrally located luxury hotels in Paris, such as the Classic Four Season George V. With a gallery of awards and accolades this lovely luxury hotel in just one block from the Champs-Elysees. There are many travelers who make travel plans in a manner so that more than one tourist destination is covered in a single trip. The travel plan might be a longer one, but it gives the advantage of exploring more areas at one go. One of the most common examples in this regard is Italy and Greece. Travelers visiting the various Greek Islands often make trips to Italy. Apart from flights that connect the two countries quite conveniently, there are excellent ferry services that operate between the various ports in Greece and Italy. Ferries from Igoumenitsa to Ancona are the perfect examples of the same. Both these ports are among the busiest in Greece and Italy respectively. Innumerable ferries operate from these ports and it is also an economical option to travel between the two countries. With a vast trove of cultural treasures, awe-inspiring architecture, museums of all kinds, historical landmarks and other displays of German heritage, Berlin is a must-see destination in Germany. Berlin is the nation's capital and in many ways seems to be the nations' cultural capital, given the rich history and modern entertainment, from shops to theaters to spas. It would be impossible to take in all that is Berlin in one day, so staying the night is a must. Thankfully, Berlin has no shortage of fine hotels, which offer the utmost in German service and comfort. Ah, La Bella Italia! Whenever one thinks of a holiday in Italy, it's hard not to smile. The food, the people, the towns, the history and just that Italian style and charm - they all bring an instinctive warmth even if you've never even visited the country! Walking in Italy is a way to really experience that warmth first-hand. What can be said about Italy? Home of the Roman Empire; the Renaissance; great science; art; literature; and today, a byword for high fashion. Italian cuisine in all its glory rivals the best in the world, and the friendliness and hospitality of the Italian people is legendary. Venice is a fairly large city spread over the lagoon, and a popular holiday destination. 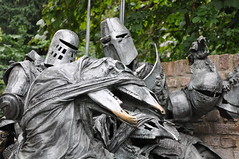 The city has witnessed some major events in the history of the nation. The different islands make up the different districts of the city, with a lot of things for visitors to explore. The best way to explore this city, which is famous for its canals and waterways, is by foot. Vacationers can easily cover the islands in a few hours without getting exhausted or tired. There are no flights to Venice, in the literal sense. The nearest airport is in mainland, Mestre. It is a short distance from the city. British Airway, Air Canada and Air China connect this city to different international destinations. At any point of time, a water taxi, or Vaporettti as it is known locally, is the only mode of transportation to enter the city. Many times, water level rises above the streets, usually coinciding with the high tide. Raised walkways are pulled out at this time, as the high tide lasts for a few hours. Croatia is one of the most popular tourist destinations in Europe, and especially popular among those who are looking for a great summer vacation with their families. There's a ton of different activities and events happening throughout the year in Croatia, but summer is definitely when most of the action is going on. If you're looking for a great vacation place in the nicest Mediterranean country, be sure to read my top reasons why you should visit Croatia. After you do I'm sure you'll add this country to your must-visit list. When in 1814, at the age of twenty-five, Francois Larderel landed in Livorno from his hometown of Vienne (in the Dauphin in France), his intention was to take advantage of the situation created fifteen years before by Napoleon's occupation of Italy in order to live an adventure. Others left for the Americas, but Francois was attracted by the many possibilities that in those early decades of the nineteenth century, Tuscany and the area of Livorno offered to enterprising people thanks to the intellectual, commercial and financially very active local life, led by many talented people including many Frenchmen and other foreigners. Visiting Calabria...not Only In Summer! Calabria is famous for its wonderful beaches, its clear-blue sea and its landscapes, and for this reason it is a popular travel destination in summer. 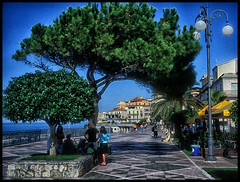 But Calabria is worth a visit all year round: the cities of this region, from Cosenza to Catanzaro, are beautiful and here you can find many interesting monuments and historical buildings; moreover, the breath-taking landscapes of this region can be admired in all the seasons; last nut not least, if you love fine food, you can be sure that in Calabria you can eat and try many typical dishes that you will certainly like. And if you visit Calabria in autumn, in particular, you will have the chance to take part in many interesting town festivals dedicated to typical dishes, food and specialties.